Great location, very friendly staff reasonable price. 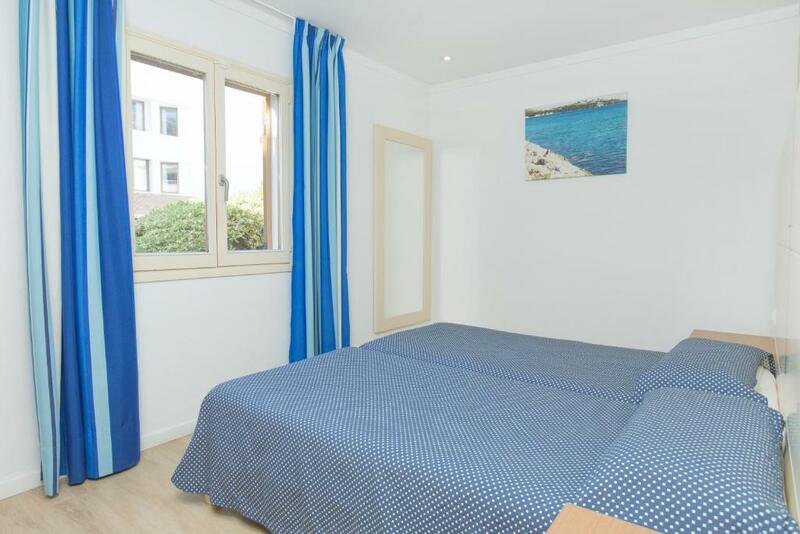 Great location, less than 5 minutes walk to beach/restaurants. Excellent staff particularly the lovely cleaning ladies despite their limited english, were so helpful, rooms cleaned every day. Location was excellent Fresh towels and good clean everyday. 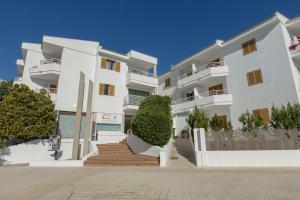 Great location close to the town centre and beach. We had a ground floor apartment which was convenient for our bikes. Central location, suitable for families and couples. Very noisy at night time. People coming back from pub or restaurantafter midnight being very noisy which woke our children up almost every night. Large rooms , all you needed in the kitchen, location was great . Location to beach & bike hire. Staff friendly and helpful. Lock in a great price for Aparthotel Flora – rated 8.7 by recent guests! Aparthotel Flora This rating is a reflection of how the property compares to the industry standard when it comes to price, facilities and services available. It's based on a self-evaluation by the property. Use this rating to help choose your stay! 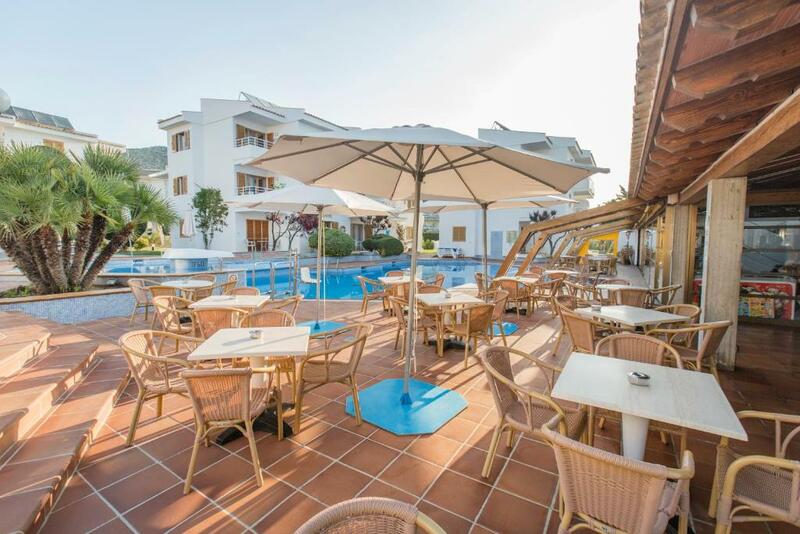 The modern Flora Aparthotel Puerto Pollensa offers a large outdoor pool and is just 350 feet from Majorca’s Pollensa Beach. 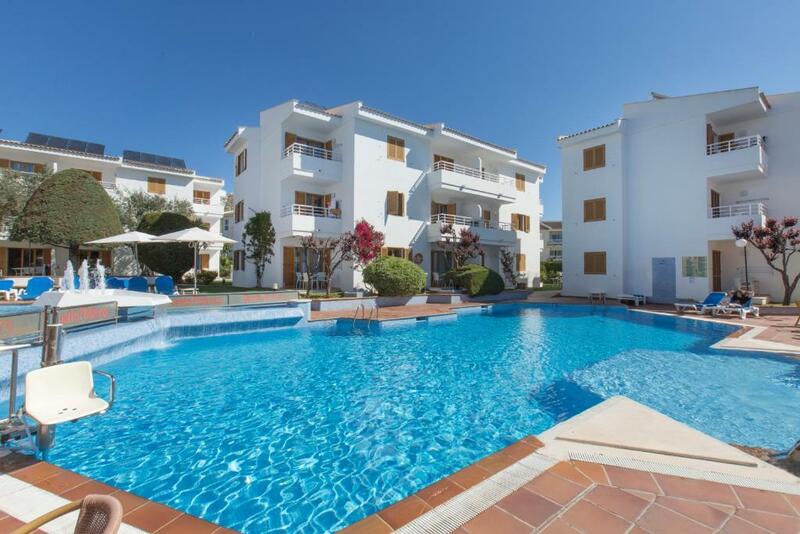 Each air-conditioned apartment has a furnished balcony, many with pool or garden views. 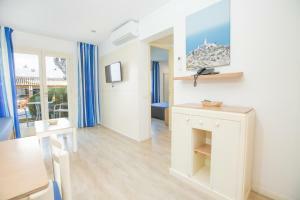 The bright apartments at Aparthotel Flora Litursa have a lounge with HD satellite TV. The kitchenette has tea and coffee-making facilities, as well as a microwave and fridge. Flora Apartments Majorca offers a TV lounge with a fireplace. There is also a games room and a children's playground. Wi-Fi is available at an extra cost. The hotel’s restaurant serves traditional Italian pasta and pizzas. Its floor-to-ceiling windows offer views of the pool. 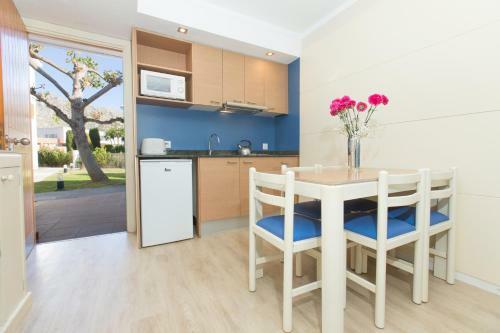 A wide range of shops, bars and restaurants can be found a 5-minute walk away in central Pollensa. The nearby Sierra de Tramuntana Mountains are ideal for hiking. 뀐 Located in the top-rated area in Port de Pollensa, this property has an excellent location score of 9.2! When would you like to stay at Aparthotel Flora? These air-conditioned apartments include flat-screen satellite TV and a kitchenette with a microwave and fridge. 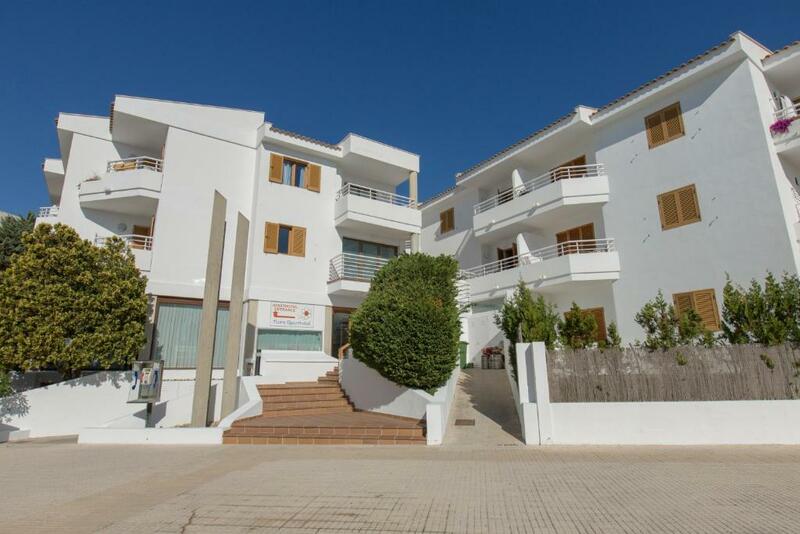 This modern Complex has been refurbished all their apartments in 2013 , offers a large outdoor pool and is just 100 metres from Puerto Pollensa sandy Beach. Each air-conditioned apartment is equipped to ensure a pleasant stay, Some ones with pool or garden views. House Rules Aparthotel Flora takes special requests – add in the next step! Aparthotel Flora accepts these cards and reserves the right to temporarily hold an amount prior to arrival. Check in was easy. We were early but allowed to get into our room. Lovely facilities. Couldn't fault it. UPon arrival allocated room on 3 floor. Admit did not confirm ground floor room, butwhen enquired about availability of one dismissed with too bad . Last dayy there no hot water therefore cold shower. Nothing to add here other than bed was a bit uncomfortable. Friendly, helpful staff. Loved the good positive atmosphere. 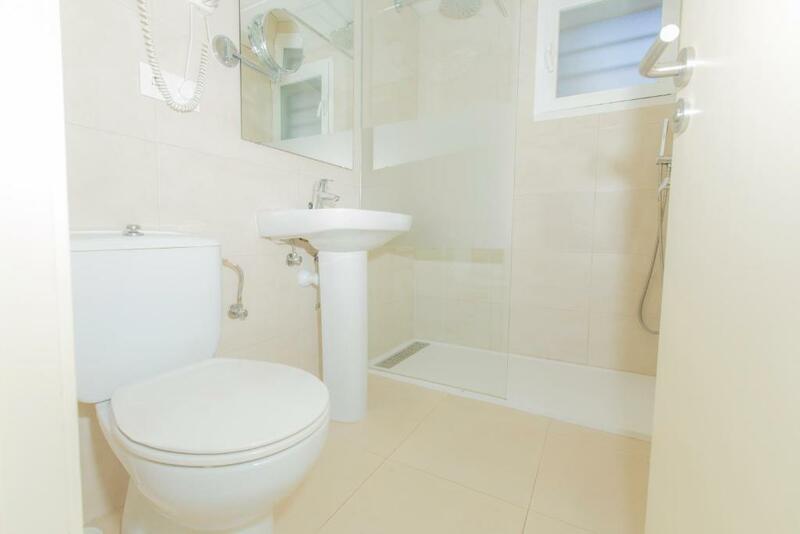 Central location was ideal and facilities were very clean. Was great to get a room with a bath as well as a nice view. Was impressed with the number of residents with various disabilities and they all seemed to be enjoying the experience. There is no working WiFi and air-con, the shower was leaking and the cleaner changed towels only twice during our 7-day stay. 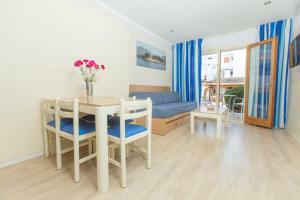 Basic accommodation in a good location. Met our needs for a cycling base, easy to store bikes, open location, quiet. We didn't have shower gel in our room. I had to ask lady in the reception but she solved it promtly. Very nice hotel with great service. I appreciate mostly spacious apartment with all equipment you need. Also parking next to hotel is free of charge. Hotel is very clean, staff helpful and breakfast tasty. I can fully recommend.